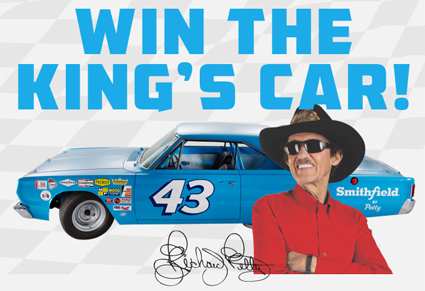 NASCAR Race Mom: #Win A Chance to Drive Like A #NASCAR "King"
Smithfield and Albertsons Companies are teaming up to offer fans the ultimate racing experience: a chance to win and drive away with a replica of Petty's 1967 Belvedere through the 2016 Winning 43 sweepstakes. The sweepstakes celebrates the anticipated 50th anniversary of the 1967 Plymouth Belvedere that drove racing legend Richard Petty, "The King," into the history books with 27 wins during a single season. Now through September 27, fans can enter for the Winning 43 experience by visiting any Albertsons, Safeway, Vons, Jewel-Osco, Shaw's, Acme, Tom Thumb, Randalls, United Supermarkets, Pavilions, Star Market, Market Street, Amigos and Carrs store, purchasing three or more Smithfield®, Eckrich®, Nathan's Famous® or Margherita® branded products, and texting a photo of their receipt to 82257 along with a keyword found at their local store. 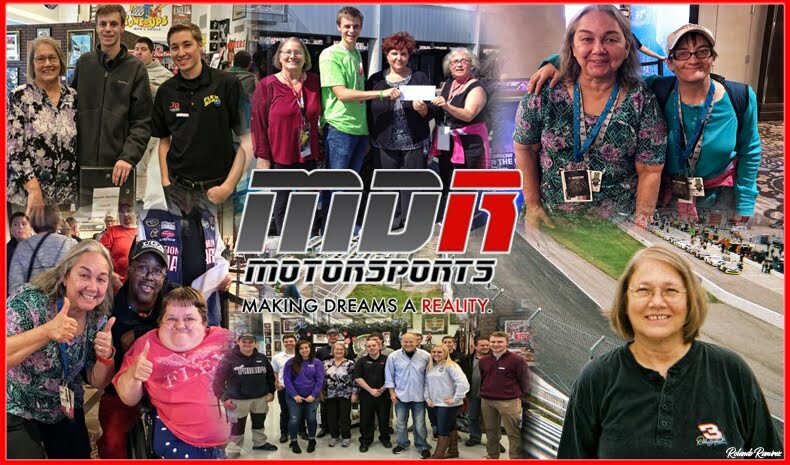 Fourteen lucky first-place winners will score an all-expenses-paid trip for two to Miami for the Homestead season finale race, where they each will receive a key to try powering up the King's car during a celebratory key-turning ceremony. The winner whose key starts the engine will not only take home a replica of the car that allowed Petty to achieve more wins than any other car in racing history, but they'll also get to take a ride with the King himself behind the wheel. In addition, 70 second-place and third-place winners will receive top-of-the-line equipment for the perfect tailgate. Second-place winners will receive Richard Petty Motorsports No.43 Smithfield Racing YETI coolers and third-place winners will take home premium No.43 Smithfield Racing Weber Grills. Smithfield is the primary sponsor of the Richard Petty Motorsports No. 43 Ford race team. "Race fans are some of the most loyal fans in the country, and no one can raise excitement quite like Petty," said Bob Weber, vice president of corporate marketing for Smithfield Foods. "We're thrilled to partner with Albertsons Companies and Richard Petty Motorsports to reward these fans and customers with this exciting motorsports experience." "No team is more legendary in racing than Richard Petty and No. 43," said Albertsons Companies Chief Marketing & Merchandising Officer Shane Sampson. "We're excited to give our customers a chance to win a replica of the famous 1967 Belvedere - No. 43. Our partnership with Richard Petty Motorsports and Smithfield will make the winner of this car, as well as 70 other winners, the envy of every tailgate." "Richard Petty Motorsports is thrilled to partner with Smithfield and Albertsons Companies to offer our fans a chance to win a replica of the car that helped me achieve 10 consecutive victories and a total of 27 wins in 1967," said Richard Petty, RPM team owner. 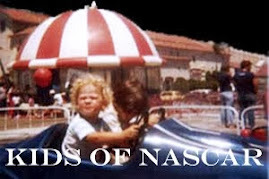 "This sweepstakes not only offers fans a unique driving experience but also celebrates the history and excitement of motorsports across the nation." Winners will be randomly selected and announced on-air on "NASCAR America" on October 20, 2016 on NBCSN. 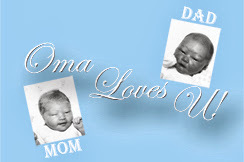 The entry limit is 10 per person during the Sweepstakes Period. For additional entry methods and for official rules, visit http://www.Winning43.com.